If one thing is clear, is that the James Bond movie franchise is one of the most successful in history. Ever since Sean Connery first played the iconic British spy in 1962’s Dr. No, audiences have been hungry for Bond movies, making “Bondmania” an international phenomenon. But when it comes to video games though, it’s been a different story. Although Goldeneye 007 for the Nintendo 64 console was a critical and commercial success back in 1997 (and a pretty good game to boot) other James Bond video games either received mixed reviews or sold poorly. Video game company Electronic Arts had planned to release a game based on 2006’s Casino Royale (which was cancelled and never saw the light of day) although Activision did release Quantum of Solace: The Game, based on the second Bond movie starring English actor Daniel Craig. Both Activision and EA have ditched the James Bond license though, and don’t appear to have any more Bond games in the pipeline, although Telltale, makers of the critically-acclaimed The Walking Dead adventure games, have hinted that they would like to make a video game starring the iconic spy. 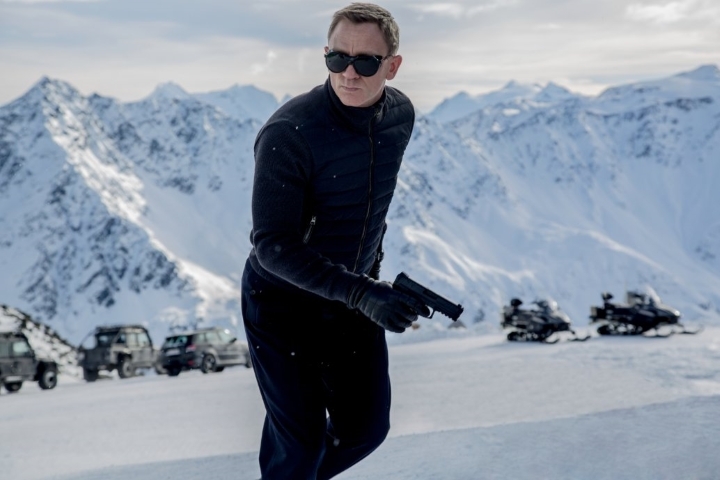 So given the lack of quality Bond games out there, James Bond fans who are also video game aficionados will have to settle for watching the latest movie of the series, titled “Spectre”, which is slated to hit movie theaters on November 6 this year. It will again star Daniel Craig, who also played a major role in the Tomb Raider movie (which is one of the top-grossing video game movies to date) and who has certainly become the most successful Bond actor of all time given how the previous movie of the series, Skyfall, broke all box-office records for a Bond flick. And Craig was recently interviewed by men’s magazine Esquire (an interview in which the English actor did not hold his tongue, making heavy use of the f- word), saying that despite getting to bed plenty of gorgeous women, his James Bond character was also “very f- lonely”. Of course, we all know that Mr. Bond has that velvet touch when it comes to dealing with women, but was also accused in 1995’s GoldenEye of being “a sexist, misogynist dinosaur, a relic of the Cold War” by his superior M.
He also said that this Bond flick will outdo its predecessor Skyfall as it will be “bigger and better”, so hopefully fans of the long-running James Bond series will get to enjoy a great movie when Spectre hits the theatres in November 6 this year. COPYRIGHT: Metro-Goldwyn-Mayer Pictures / Columbia Pictures / EON Productions.